Bedol International Group, Inc. was established in 1987. In the beginning they designed products for Day-Timer, Day Runner and Filofax that enhanced and accessorized organizers and binders. They were later instrumental in the development and design of checkbook wallets and checkbook calculators, as well as travel products and table top/desk accessories. Bedol is now leading the pack with their green, Eco-friendly design initiative. Bedol sent me a water alarm clock for review. I've had several alarm clocks in my day, but they were all powered by batteries or electricity. I admit, I was intrigued to find out just how well an alarm clock would work juiced by plain ole' water. As it turns out, it works pretty well! The Drop Bedol Water Alarm Clock runs only on water! This patented eco-friendly timepiece is even shaped like a drop of water. The Drop Water Clock keeps perfect time without requiring batteries or electricity. The amazing Bedol Water Clock technology converts ions in the water into clean energy power. Built-in memory chip remembers time so you don’t have to reset. To activate the clock, all you have to do is pop open the fill cap and fill with ordinary tap water and fill the tank to the line as marked on the water tank, ensuring that each side is filled equally. From there, you can set the date, time, and alarm. The display will begin to fade when it's time to refill the clock with water. The approximation rate for refill is six months. You have a choice between a daily alarm which rings at the same time every day or an hourly alarm that rings at the same number of minutes past the hour every hour. I use enough batteries on other electronics throughout the home, so it's nice to have a product that doesn't require them. The alarm clock is easy to set, the digital display is easy to read, and the clock has a loud enough tone to wake me up on time every day. Two people will each win a Bedol Water Alarm Clock. I would love to have the Large Leather Brown Purse. I would love the fallingwater lego set for my son. the USB Memory Stick Dino 4 GB is cute! The Brown/Black Leather Laptop Business Case is gorgeous! I like the red water clock. I'd love to get the Wireless Internet Speakers with wireless transmitter. I like the Wall-Mounted Weather Station. I like the checkmaster credit card calculator. I like the Lamy Pico Ball Pen Red. i like the head scratcher! I'd like the Digital Message Center. Thanks for the giveaway. I would love to have the Bedol Water Clock Smiley Alarm Blue. I would like to have the digital picture frame. I like the silver internet phone. I would like to have the Calculator-On-A-Rope. Oh I'd love the Checkmaster Credit Card Calculator for my wallet! Awesome! I like the GlobalScan World Travel Chronograph Clock! I'd love to win the clock!! And I like their handheld world clock too. I would like the black leather purse. i like the banana flash drive. I like there Supersmart round stationary set. I like the Dino and Music USB Memory Sticks also! I like the Eco Tote in Black! I love the Banana USB 4 GB! Besides the clock, I really like their Digital Picture Frames.. Bedol's frames play AVIs, DivX and Mpeg1, 2, and 4! I like their Lamy Pico Ball Pen Blue and red. I like the MP3 Player with earbuds! THE WALL MOUNTED WEATHER STATION--almost hurricane season here! This clock is so great. I also like the Internet phone that they have. The Supersmart round is pretty cool. I like their Leaf Weather Station:) Thanks! I would LOVE to have the Designed by Frank Lloyd Wright in 1934, Fallingwater® Lego Set!! I collect Frank Lloyd Wright memorabilia, and this would be a great addition!! I love the 18-Zone Time -Glass -black clock. Love the Tap 'n Glow Blue Clock! because i can give it to a friend! I like the Brown/Black Leather Laptop Business Case. 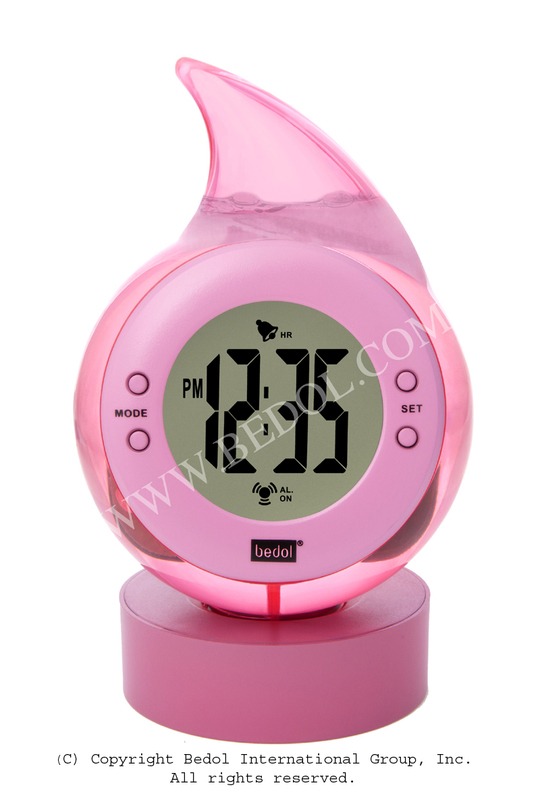 The Bedol Water Clock Wink Alarm Raspberry is so cute. LOVE the Lamy Pico Ball Pen Red !! I would like to have the Checkmaster Gold. I would like to have the Wireless Internet Speakers with wireless transmitter. I'd like the wall-mounted weather station! I love the Music USB Memory Stick 4 GB. I like The Checkmaster Ballpoint Pen! i would love the The Bedol Water Clock Wink Alarm Orange. I would like to have the Large Leather Brown/Black Purse. Thank you for the lovely giveaway! 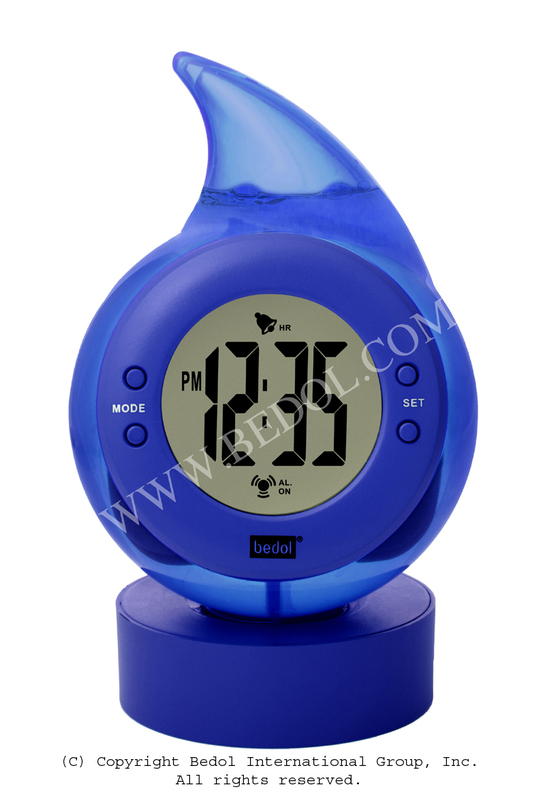 Love the Bedol Water Alarm Clock!!!!! I love the leather brown purse! I like the Fallingwater® Lego Set. I love the water powered alarm clock. I love the Banana USB. Lego Empire State Building would be cool.. I would like to have the alarm clock. cool that it runs on water! I'd also like to have the Leaf Weather Station in Silver! I also like the Tap 'n Glow - Blue clock from the Bedol site. I love the space needle lego set. Thanks for the giveaway. I'd love the Checkmaster w/leather bi-fold cover. I would love to own the Wireless Internet Speakers with wireless transmitter. I would love to have the water power clock! Wireless Internet Speakers with wireless transmitter. I like the large leather black/brown purse. I would love to try the internet phone. I like the digital picture frame. I like the Brown Black Leather Handbag/Purse on their site. I like the brown black wrist purse thing. Thanks for the giveaway...we like the "Lincoln USB 4 GB"